The team worked on the concept with the UW Office of Student Veteran Life. 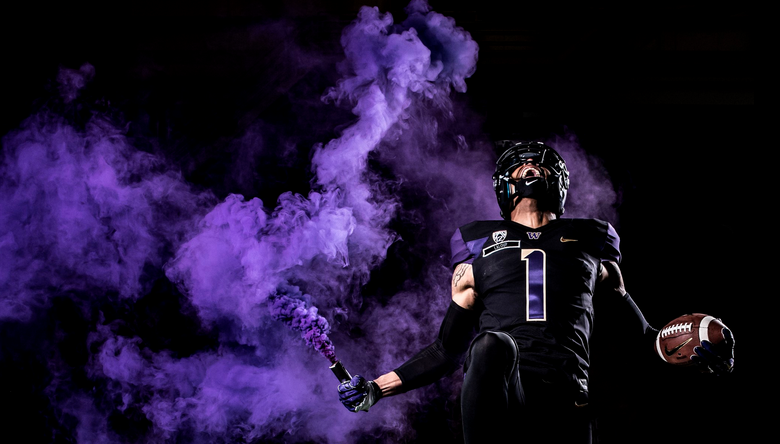 The Washington Huskies will break from the traditional uniforms they’ve worn at home all season with a ‘salute to service’ uniform combination for Saturday’s game vs. USC at Husky Stadium. The team worked on the concept with the UW Office of Student Veteran Life, which provided names of the veterans being honored on the front of each jersey. As part of the tribute, an American flag emblem is inscribed in the “W” of players’ helmets.